Jennifer Chapkin focuses her practice primarily on the areas of business, litigation, real estate, contracts and appeals. After attending the University of Central Florida, where she earned her Bachelor’s of Science in Advertising and Public Relations, Jennifer earned a law degree from Nova Southeastern University in Davie, Florida. 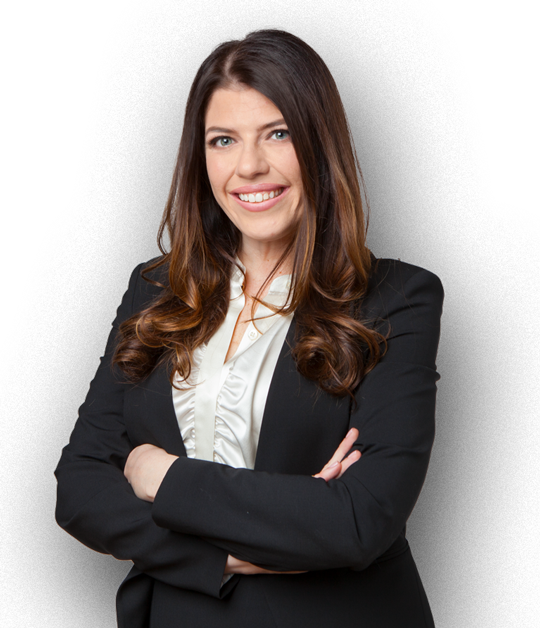 Jennifer provides skilled and strategic representation using a personalized and detailed approach, representing clients in all matters related to real estate, business disputes, contract negotiation & disputes, collections, general civil & commercial matters and appeals. Jennifer possesses extensive litigation experience in Florida state and Federal courts, including handling over three hundred trials. Jennifer grew up in Palm Beach County and takes an active role in local community organizations. She has been named to the Florida Super Lawyers “Rising Stars” list for 2016, 2017, 2018 and 2019, a rating earned by only 2.5 percent of lawyers. Jennifer Chapkin focuses her practice primarily on the areas of business, litigation, real estate, contracts and appeals. After attending the University of Central Florida, where she earned her Bachelor’s of Science in Advertising and Public Relations, Jennifer earned a law degree from Nova Southeastern University in Davie, Florida. Jennifer provides skilled and strategic representation using a personalized and detailed approach, representing clients in all matters related to real estate, business disputes, contract negotiation & disputes, collections, general civil & commercial matters and appeals. Jennifer possesses extensive litigation experience in Florida state and Federal courts, including handling over three hundred trials. Jennifer grew up in Palm Beach County and takes an active role in local community organizations. She has been named to the Florida Super Lawyers “Rising Stars” list for 2016, 2017 and 2018, a rating earned by only 2.5 percent of lawyers. Jennifer provides skilled and strategic representation using a personalized and detailed approach, representing clients in all matters related to real estate, business disputes, contract negotiation & disputes, collections, general civil & commercial matters and appeals. Jennifer possesses extensive litigation experience in Florida state and Federal courts, including handling over three hundred trials.